Agartala, which is also the capital of Tripura is home to a varied variety of tribes. The spectacular natural backdrop, the lush green forest cover, the various mix of tribes, an array of places to visit, and the enticing green valley makes this northeastern city an ideal tourist spot. The city witnesses a humid subtropical climate with hot and wet summers as well as short and pleasant winters. The best time to visit Agartala is anytime between November and February. Winter begins in Agartala from November and lasts till early February. The temperature during this period drops down to 18 deg Celsius making it pleasantly cooler. If the city observes rainfall in February, the weather becomes comparatively colder. Summer usually lasts between the months of March and May. The average temperature during extreme summers ranges between 28 deg Celsius and 33 deg Celsius and rarely goes beyond this. Also, intermittent showers are also experienced during this period. 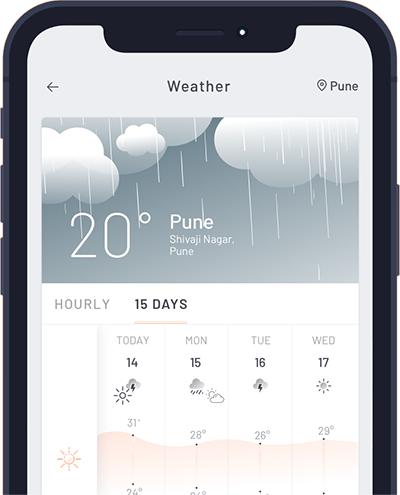 Monsoon showers usually begin in June and last till early October. The rainfall increases the level of humidity to nearly 80% in the region. The city receives constant showers, the average annual rainfall being close to 220 cms. The average no. of rainy days in the city is usually 100 days. The best time to visit Agartala is during the winter months. The city is filled with a large number of tourists since the weather is pleasant. A number of festivities are also held during this period. Some of the popular tourist attractions are Ujjayanta Palace, Jagannath Temple, Umamaheshwar Temple, Venuban Buddha Vihar, Krishna Mandir, Tripura State Museum, Science Museum and Malancha Niwas.